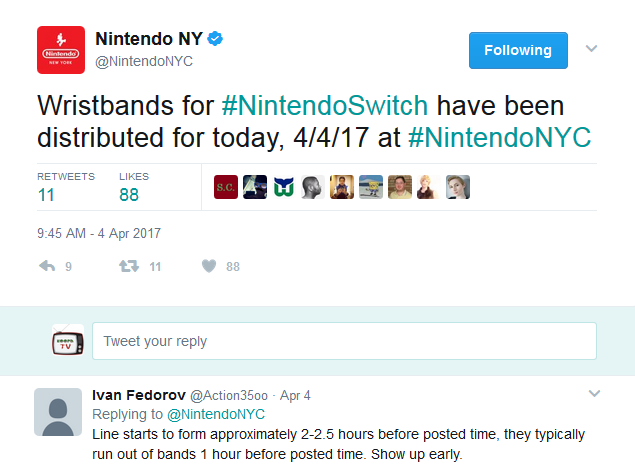 KoopaTV: Was the Nintendo Switch Launch Rushed? Lots of people, such as journalists, are citing problems with the Switch's Left Joy-Con. Now Nintendo has put some kind of screw and conductive foam and fixed the issue. It was a factory production problem affecting a small number of units that's been fixed due to preventative measures. That's not something you can figure out before hand with more time. Yes, the launch lineup is sparse, but that doesn't make the console rushed. It means that, by spacing releases over the calendar instead of having the Switch released in November with a bunch of games all at once (and competing with other consoles), that Nintendo is giving each game its due space. When you feel happy about the amount of games, you can choose to buy the Switch. If you just want to play The Legend of Zelda: Breath of the Wild on a system that can go to portable mode (instead of just a home console) as soon as possible, then you're happy the Nintendo Switch released in March instead of November. If you're not happy about that, then you wait for the game of your choice to be released. Releasing the Switch earlier than that doesn't hurt you. Since it's clear that The Legend of Zelda: Breath of the Wild itself wasn't rushed and is full of polish (and it better be, after all of its delays), then there's nothing to hold the Switch back, since it passed its quality assurance testing. People also point to a lack of a lot of non-game features and a barebones user interface. However, these are purposeful, minimalist gaming-first design choices hearkening back to the Nintendo GameCube. While the Nintendo Switch still doesn't have a handle like they promised in the Nintendo Switch Presentation from January, it did end up taking design philosophies from the GameCube — the most important contribution of them all. Would you rather the Nintendo Switch be sold out NOW, or sold out during the holidays? Source: Trying to buy a Nintendo Switch from Best Buy's site. Nintendo President Tatsumi Kimishima explained this drip-feed concept back in the Investors Relations stuff from February. Nintendo's fiscal years end at the end of March, so, hey, last-month revenue boost for 2017's. (We're going to talk about their fiscal year stuff whenever their investor meeting happens later this month.) In that case, Nintendo launched just in time! 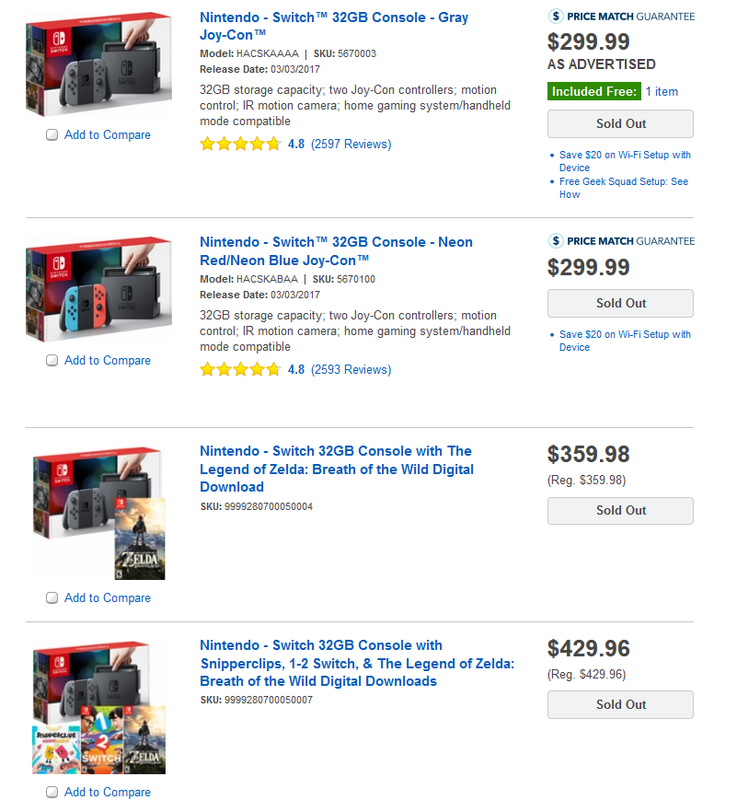 Besides, do you know how much the inventory costs would be if you wanted Nintendo to make constant factory runs between March and a November release date, and then release a flood of Nintendo Switch consoles to the market? The supply problems were unavoidable (besides selling it for over $300). Ludwig hasn't actually tried purchasing a Nintendo Switch, but maybe he should. He'll stop by Best Buy sometime this month so he can acquire the prize for this month's KoopaTV Loyalty Rewards Program Round 13 to give away to one skilled KoopaTV reader (possibly even YOU! ), and if he sees a Nintendo Switch, he'll buy one. He may even write a filler article about the experience. For more about how long lines can form at Nintendo NY, check out this guest post describing its grand reopening! Here's the talk about the fiscal year 2017, as promised. I actually went to Best Buy just two days ago, and it was the first time I saw a Nintendo Switch in stock. I did not expect to see one at least until the summer. At this point, anything could happen. Perhaps Mother 3 will be revealed in tomorrow's Nintendo Dircet. MOTHER 3 has already been out for a week! So did you get it or what? Do you have any thoughts on the article? Sparse, sparse, Zelda also on another console. Wii U's was the least sparse of them all thanks to 3rd party support! The Wii U had the least sparse launch library and the worst sales!